Today, the Provincial Government announced appointments to the Provincial Advisory Council on the Status of Women, based on a list of recommendations provided by the Independent Appointments Commission. New members include Barbara Agnes Barker, Arlene Blanchard-White, Elizabeth Evans-Mitchell, Erica Hurley, Kelly Hynes-Curties, Abigail Steel and Raelene Vickers. Vanessa Jo McCarthy and Carmichael Polonio have been reappointed for a second term. Vanessa Jo McCarthy will also serve as vice president of the council. The Provincial Advisory Council on the Status of Women was established in 1980 and provides advice to government on issues affecting women in the province. Newfoundland and Labrador is the first Canadian province to establish a legislated merit-based appointment process. The Independent Appointments Commission is actively recruiting for a number of positions with agencies, boards and commissions. Barbara A. Barker, B.A. (Hons. ), LL.B. (University of Saskatchewan) is a member of the Qalipu Mi’kmaq First Nation. Barbara works for the Newfoundland and Labrador Legal Aid Commission in the Provincial Director’s Office as the Legal Services Solicitor. Amongst other community work, Barbara is a member of the Expert Advisory Panel with the Canadian Femicide Observatory for Justice and Accountability, volunteers with the Newfoundland and Labrador Sexual Assault Crisis and Prevention Centre and sits on the board for a newly created feminist not-for-profit, SKS Children’s Centre. Barbara is a member of the Law Society of Newfoundland and Labrador’s Indigenous Education and Action Committee, as well as their Education Committee, and teaches Continuing Legal Education and the Bar Admissions Course. Arlene is a Business Development Officer with Ulnooweg Development Group mentoring Indigenous entrepreneurs. As a business owner, in 2006 she rode the Way-Out Women (WOW) Ride for Breast Cancer raising the second highest amount in Canada for research. Much of her life has been dedicated to volunteering on various boards such as the St. George’s Economic Development Corporation, and Bay St. George Mi’kmaq Cultural Revival Committee while volunteering with local schools to enhance Indigenous culture and heritage. She has served a three-year term as councillor for Qalipu First Nation where she also sat on the Education Committee as well as a representative to the Women’s Policy Office. 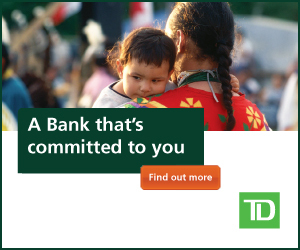 Arlene is a proud Mi’kmaq who embraces her culture through dance, ceremony and Indigenous values. Elizabeth Evans-Mitchell was born and raised in Makkovik, Nunatsiavut. Along with friend, Tama Jararuse, Elizabeth was one of the first graduates of J. C. Erhardt Memorial. Elizabeth obtained a Bachelor of Arts in Education from Memorial University which permitted her to follow her passion for teaching in her hometown for the past 30 years as both an educator and more recently, principal. Along with her education degree, she holds a Diploma in Kodaly Music from Acadia. Serving as a community councillor for many years as well as the North Coast VP for Combined Councils of Labrador, community issues and concerns have always been a priority. Elizabeth has volunteered for several committees including, Makkovik Museum Committee, Makkovikimut Trust, AnanauKatiget Timingit and Makkovik Chapel Servants – Acolyte for the Moravian Church. Erica Samms-Hurley is a Mi’kmaq woman who earned her BN (2004) from Memorial University-Grenfell Campus and her MN (2014) from Athabasca University. Erica recently began studies at University of Alberta in the PhD of Nursing Program. She has worked in nursing education for over 10 years and is currently a nurse educator at Western Regional School of Nursing- Grenfell Campus. Erica is adjunct professor in the School of Arts and Social Sciences (Humanities) at Grenfell. Since a young age Erica has dedicated her time to volunteering on numerous committees locally, provincially and nationally, such Native Women’s Association of Canada’s Health Advisory Committee, the Canadian Institute of Health Research Institutes Advisory Board for Nutrition, Metabolism and Diabetes and the Council on Higher Education Subcommittee on Indigenous Education. She has been recognized for her achievements and contributions by the Governor General’s Award in Commemoration of the Persons Case and the Queen Elizabeth II Diamond Jubilee Award. She is currently the chair of the Grenfell Indigenous Advisory and Initiatives committee. Erica was elected into the vice-chief position of Qalipu first nation in 2015. Kelly Hynes Curties is a lawyer for the Department of Justice and Public Safety. Bilingual, Kelly completed her Bachelor of Arts at Memorial University in French and Sociology, her Law Degree (LL.B.) at Université de Moncton and her Masters in Law (LL.M.) at Osgoode Hall Law School, York University. Kelly is passionate about advancing equality issues. She is currently in her final year as Chair of YWCA St. John’s, and has been on their board in various capacities since 2013. Kelly has been actively involved in other community organizations, including the CBA NL, and the CBA National Committee on Equality. Vanessa is a lawyer in private practice with Rebecca Redmond MacLean Law Office PLC Inc. in Gander. She completed her Bachelor of Arts and LLB degrees with the University of New Brunswick in Fredericton, where she was involved in numerous organizations committed to equality and women’s rights. Vanessa worked and volunteered for many years with the Fredericton Sexual Assault Crisis Centre and later the Newfoundland and Labrador Sexual Assault Crisis and Prevention Centre. She is actively involved with the Gander Women’s Centre and the Rotary Club of Gander. Vanessa is originally from Grand Falls-Windsor, and has lived in Gander since 2010. Carmichael Polonio is a Belizean-Canadian engineer, who currently works at Nalcor Energy as a transmission design engineer. She moved to St. John’s in 2006 to pursue civil engineering at Memorial University, which she successfully completed in 2011. Born and raised in Belize City, Belize, she’s a Garifuna woman, which is an Indigenous race group combining African, Arawak, and Carib ancestry. Since residing in St. John’s, Carmichael has been an active participant in the community. She volunteers with Women in Science and Engineering and Women in Resource Development Council in their respective mentorship programs. She’s currently a board member of the Provincial Advisory Council for the Status of Women. Abigail Steel, PhD, P.Eng., received her Bachelor in civil engineering from Queen’s University and her Master’s and PhD in civil engineering from Memorial University. Abigail was elected and served on the board of directors of Professional Engineers and Geoscientists of Newfoundland and Labrador. She is a past member of Engineers Canada’s, Women in Engineering Advisory Council and past chair of Engineers Canada’s, Women in Engineering Committee. Abigail was also co-chair of Memorial University’s Sustainability Advisory Committee and has been involved with Memorial University’s Women and Diversity in Engineering Committee and Women in Science and Engineering, Newfoundland and Labrador chapter. She currently works as an engineer and manager with the Mineral Development Division of the provincial Department of Natural Resources. Other volunteer activities include: Scouts Canada, Duke of Edinburgh Program and Avalon Nordic Ski Club. Without human connection and a strong foundation of empathy, understanding and love change cannot occur. Raelene’s passion for human connection led her to pursue a Bachelors Degree in Social Work in 2014 from Memorial University and a Masters Degree in Social Work from the University of Toronto in 2018. Raelene describes herself as a fierce feminist who challenges society’s expectations, and a passionate advocate for gender and sexual diverse populations. Practicing as a frontline social worker for four years, Raelene has experience working with children in care, foster parents, and women experiencing intimate partner violence. After completing a placement in Patient and Family Engagement at the Hospital for Sick Children (SickKids) Raelene has been exploring the use of social work in administrative and policy roles. Recently, Raelene entered the role of Executive Director of Mokami Status of Women Council where she is incorporating strengths based and trauma informed theories into her everyday work.